There are 2 freelance travel writing skills you must have to succeed. Success begins with the ability to sell your stories. My mantra is "if you can’t sell your stories, you don’t get to write them." 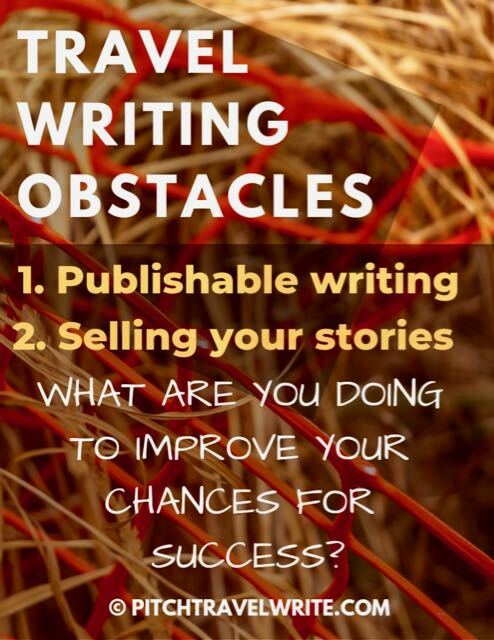 And in order to sell your stories, you need to be able to write a publishable piece. Even if you’re the most talented “natural” writer, you face these two major obstacles to getting your travel stories published. The first travel writing skill you need is the ability to write a publishable piece. Most people assume they can do this, but that is not often the case for new writers. Some aspiring travel writers have below average travel writing skills. This isn’t necessarily a deal breaker in the freelance writing arena. But you must take the necessary steps to raise your writing up to publishable standards. When I work with novice coaching clients, I usually spend considerable time editing and rewriting their query letters and manuscripts before they’re submitted to editors. I see considerable overuse of clichés and the passive voice. Beginners also tend to use complicated language. If you’re a novice your writing may be rusty so don't make the assumption you have this travel writing skill without some feedback. You might need to brush up on your spelling, and grammar and punctuation. That’s easy enough to do with certain software tools. Improving your spelling and grammar is a good place to start. For your query letters to be intelligible and for your article manuscripts to be publishable, you'll also need to work on the syntax, flow, and general readability. This is tough! 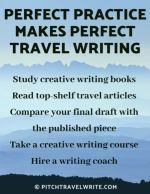 It may seem overwhelming, and even discouraging but with some patience you will develop this travel writing skill. It’s still possible, with a little bit of dedication, to see your articles published in this highly competitive arena—and even thrive. Enthusiasm, determination, and the desire to succeed are critical elements for success in freelance writing! And with some sort of outside assistance (workshops, courses, coaching, extra reading, etc.) you will improve. I know of several writers whose initial writing was not at a publishable standard. But through perseverance, they made a name for themselves as good, solid travel writers. Many of them did this with outside help, such as using a writing coach. There’s one more observation I have with newbie travel writers trying to break into print: most need to improve their creative writing skills. Their work sounds more like an advertorial, and isn’t publishable without improvement. For the better paying and more respected print magazines creative travel writing skills are a standard requirement. Many beginning travel writers prefer one-on-one coaching and mentoring to bring their travel writing up to scratch. This is where a coach works privately with the writer, helping him or her improve their creative writing style, with the objective of transforming the novice’s writing into publishable prose. Some beginners believe their writing is better than it really is. They have a prevailing belief that magazine editors will be happy to work with them on their poorly written manuscripts. This is not so. Editors are busy. They become very frustrated with writers that submit unpublishable work because it kills the editor’s time. It’s not the magazine editor’s job to work with new writers on their writing skills. Editors are not babysitters. They assume that if a writer is pitching and querying stories, their writing is publishable. If a writer’s skills are not of a publishable standard, he or she has no business pitching and querying a magazine. What if a professional writer or writing coach critiques your travel stories and concludes that your writing needs improvement? Consider their feedback to help you make improvements. Accept it gracefully. And appreciate the fact that the person was honest enough to break this news to you. Too often people give positive feedback that is meant to protect your ego and feelings. This kind of feedback is useless, no matter how well intended it is. But when we get negative feedback, it stings. Just remember, it’s not personal. Over the years, I’ve had several editors return my manuscripts, with instructions on how to improve or rewrite them if I wanted to see my story published. First I had to get over the initial egotistical “how dare he/she criticize my work like that” reaction. Then I eventually realized that my story read so much better after I made the changes! Realizing that your writing isn’t perfect, and that it needs work (and always will) is a humbling experience. 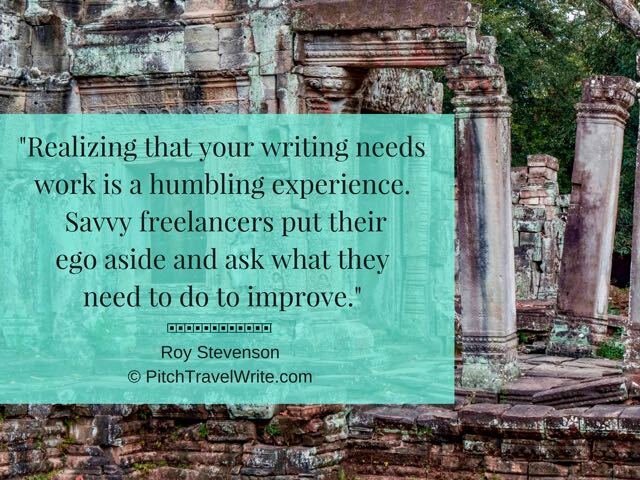 Savvy freelancers put their ego aside and ask what they need to do to improve their writing. If writing is your Achilles heel, there are many ways to get feedback on your writing. The fastest, most efficient way is to find a good writing coach. 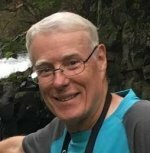 You can do an Internet search for travel writing coaches, or contact me. I know of a couple good ones. You’d be surprised how many talented writers started with a coach. 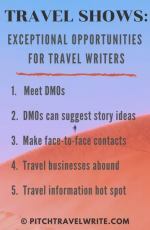 The second travel writing skill you need - and a major problem facing beginners entering the travel writing fray – is marketing. Most people lack the marketing skills necessary to sell their stories. This is where I can help. My expertise is helping writers sell their travel stories. You can find dozens of free articles on this website with advice about how to sell your travel stories. My mission, as coach and mentor to travel writers, is to show you how to market and sell your articles to print media—and get paid for it. Although my expertise is helping my writers sell their stories, I will still edit query letters and manuscripts before my clients submit them to magazine editors. I provide this writing feedback because my objective is to see the story through to actual publication. I use this editing and feedback as an opportunity to help my writers improve their writing, but this is not the focus of my coaching and mentoring program. I’m a marketing coach first. Most coaches focus on improving your writing. It’s important to develop your writing skills. But good writing skills alone won’t get you published. My coaching and mentoring program is different from all the others. I'm all about helping my writers market and sell their stories to editors. I teach people the sales process to successfully get published. And when you sell a story to an editor, I’ll help you turn your assignment into travel perks. As I said, I believe that freelance travel writing success begins with selling your stories. My mantra is that if you can’t sell your stories, you don’t get to write them. Here’s an article I wrote recently about the importance of marketing and selling your travel stories. And, here’s exactly how my coaching and mentoring program will help you. My writers are highly successful! All my writers have been published. And almost all of my writers have had their stories published in respected paying print magazines - outlets that veteran freelance writers would be proud of. All of my writers have landed stories on travel websites. Read some of my writer’s testimonials here. I only open up coaching twice per year for new clients, but in the meantime you can spend your time reading this website and the articles related to selling and getting published.